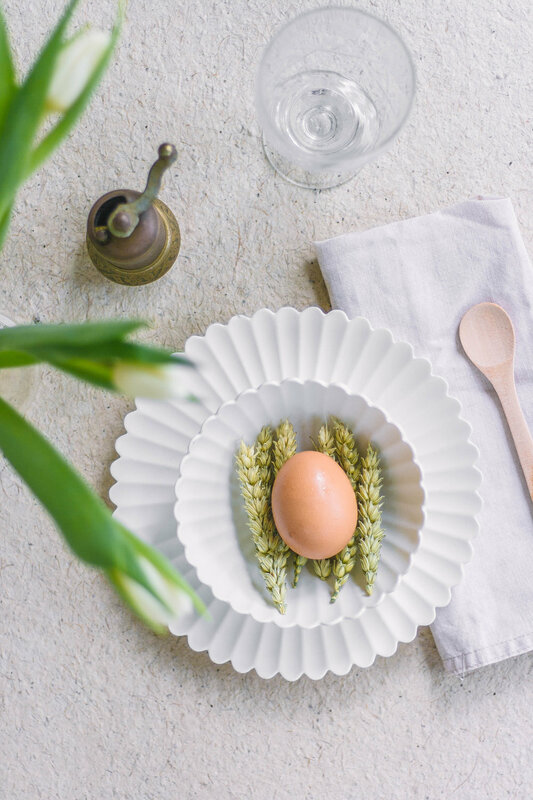 Scroll through as we highlight 6 simple way you can create some simple and stunning Easter decorations in no time! When it comes to these simple tips and tricks, don’t be afraid to have fun! There is no right or wrong here and you don’t have to stick to one style or the other. Instead, play around with textures, such as mixing glass or china with wood, and look to nature for colour inspiration! We love the pink tulips which play nicely with pink and white tableware, and greens will always give a neutral and minimal tabletop some life. 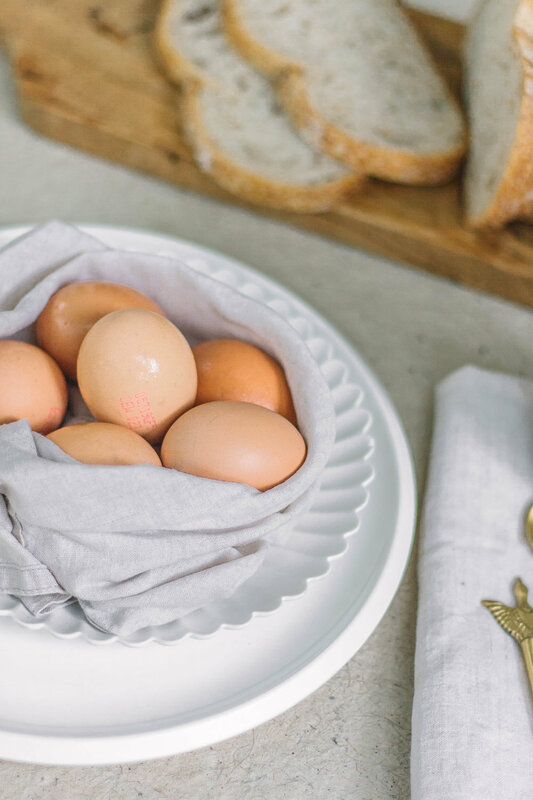 Try playing around with stacking a few plates when it comes to your table setting as it’s is a super simple way to add some height to the table without it feeling fussy or crowded. As for egg decorating, it doesn’t need to be messy and ugly! Stick to a black and white colour scheme for a more Scandinavian approach, or make use of cool stamps to get doodling on your eggs. Since you’ve stuck around, we’ve got a little present for you. Click the button below to get free Easter-inspired calendars for you desktop and phone!